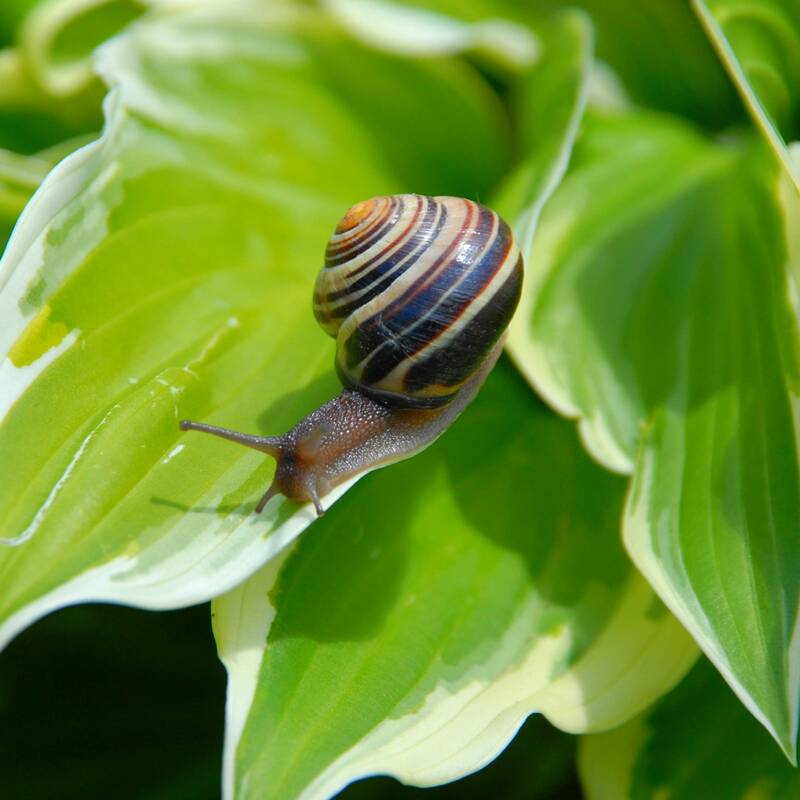 Slugs and snails are voracious mollusks that power through tender leaves and stems, leaving ragged holes and a slimy trail in their wake, especially in cool, damp climates. They generally emerge to wreak havoc in the garden a couple of hours after sunset. 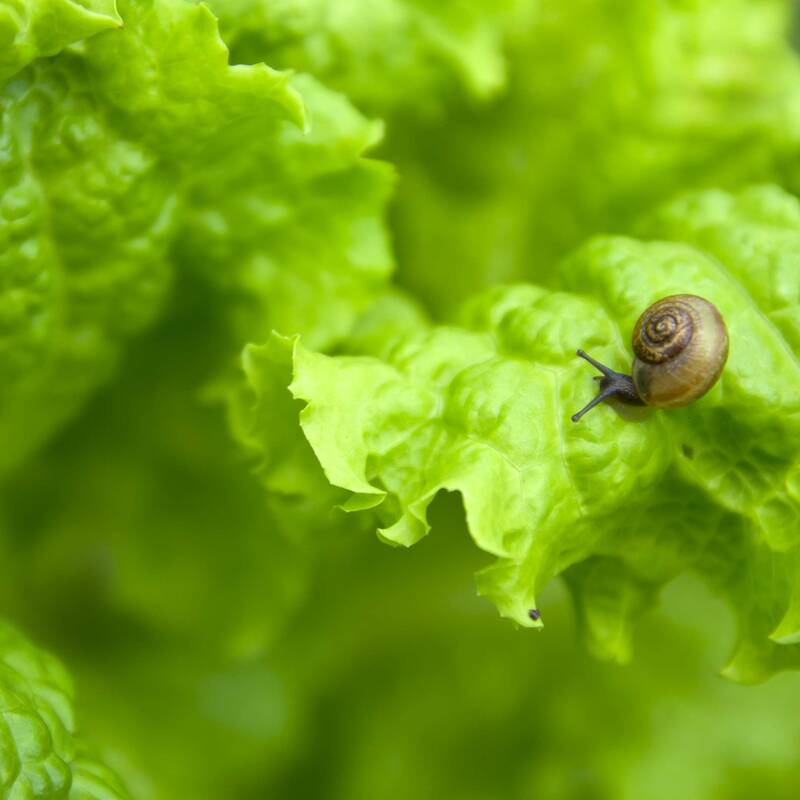 Controlling slugs and snails requires a combination of methods, beginning with elimination of slug hiding spots, including weedy areas, boards, mulch and leafy groundcovers. 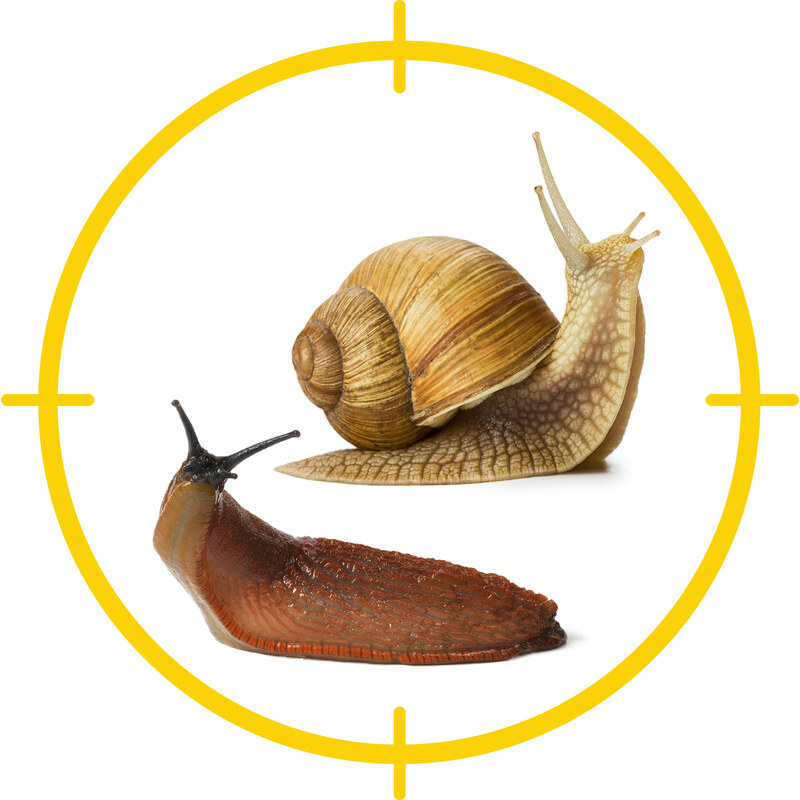 Chemical slug and snail baits kill on contact or when they enter the stomach. Bait is most effective when slugs are active after a rainfall and less effective when the weather is hot and dry or cold and rainy. Heed all label warnings because chemical bait is toxic to children, pets and wildlife. Some baits are especially attractive to dogs. Baits containing iron phosphate are safer to use around pets and children and in some conditions are more effective than chemical baits. Even small amounts will cause slugs or snails to stop feeding very quickly, but they may take a few days to die. Nematodes are microscopic, soil-borne organisms. While some species are harmful, others are extremely beneficial little creatures that penetrate the skin of the slug or snail. Once they enter the body of the slug, they multiply rapidly and kill more slugs. Switch from overhead irrigation to drip irrigation or a soaker hose to create drier, less favorable conditions. Hand-picking slugs and snails is icky but effective. Water the problem area in late afternoon, then don a pair of gloves, grab a flashlight and go hunting. Diatomaceous earth, coarse sand, gravel and other gritty substances act as barriers that may provide control for a few days or weeks, although they tend to become less effective when damp. Copper foil is an effective barrier because it produces a mild shock when the snail touches it.